Filet mignon – one of the most popular items on steakhouse menus everywhere – is a boneless, tender strip of meat that tastes wonderful when cooked perfectly. Because it is so expensive, you do not want to ruin it and waste your money. 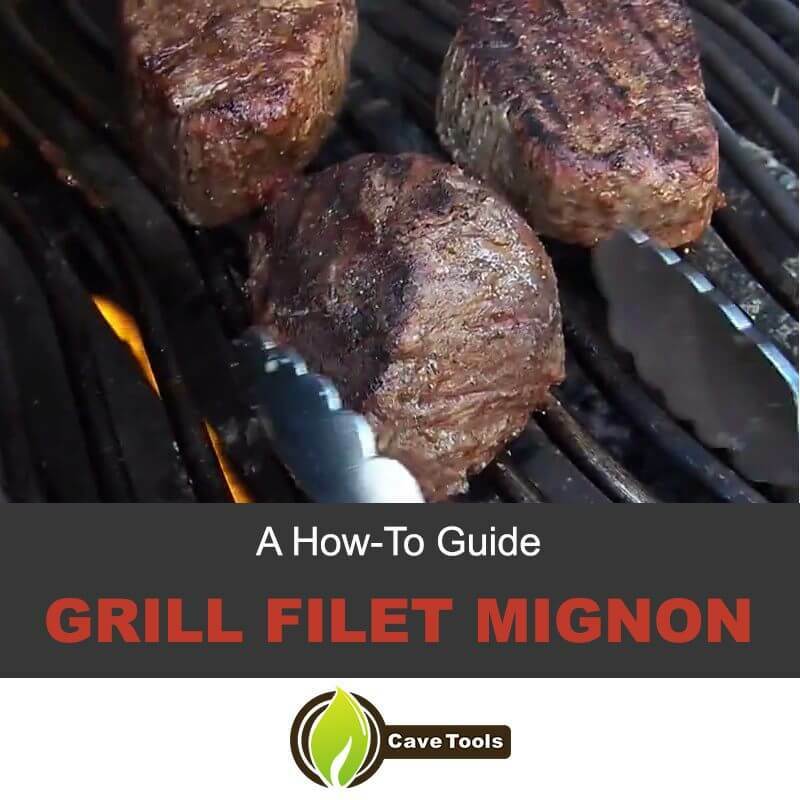 You want to make sure that you know how to grill a delicious mouthwatering filet mignon steak and savor this premium cut of meat like beef tenderloin. The term “filet mignon” is “dainty filet” in French. O. Henry used the term for the first time in his book “The Four Million” which was written in 1906. The writer used the steak a number of times throughout his book as a symbol of a delicious treat and to create romantic moments. To this day, this delectable cut of meat still represents romance, as restaurants frequently serve it as the main course on Valentine’s Day. Filet mignon is a cut of meat that is taken from a cow or steer’s tenderloin, which is found on both sides of the spine. The tenderloin is extremely tender because of the fact that this muscle group is the least used. Filet mignon is the portions of meat cut from the smallest end of the tenderloin. Restaurants frequently serve it in portions of 4, 6, or 8 ounces, and a filet mignon dinner is usually priced at $25 and over and no, you cannot get this at Burger King! Filet mignon is typically cooked one of three ways – grilled, pan seared, or wrapped with bacon. Because there is very little fat content in the filet, the bacon prevents the steak from losing moisture while it is prepared and also adds flavor by itself! Are you intimidated by the thought of grilling filet mignon? You are not alone! After relishing perfectly grilled steaks at restaurants or steakhouses, it can be a little daunting to try and grill it yourself at home. 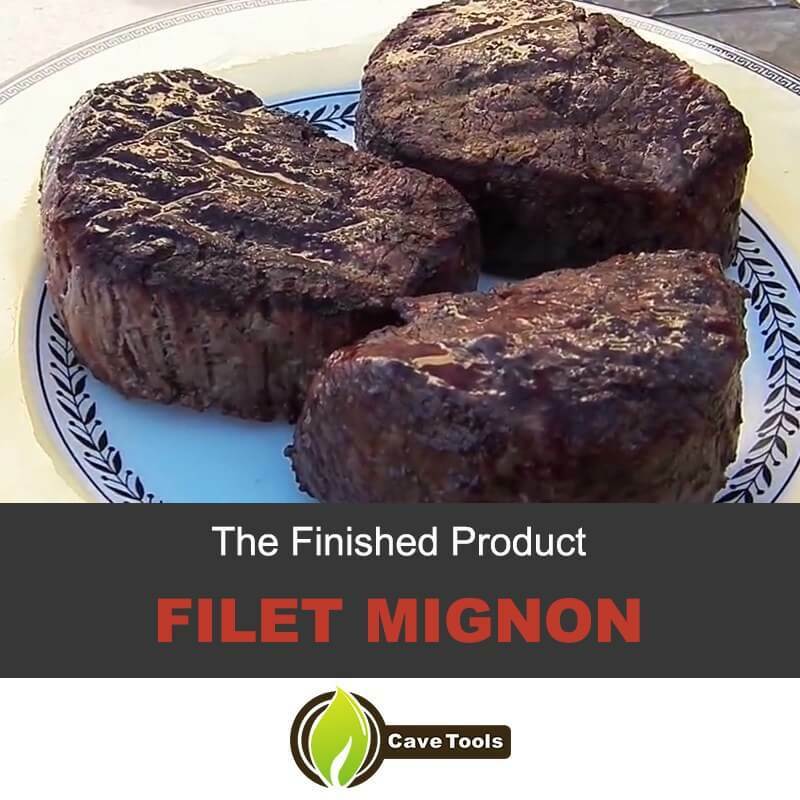 The fantastic news is that it is not that difficult to grill the perfect filet mignon – all you need is the right tools and a bit of grilling skill. Read on to find out how you can grill a filet to perfection yourself. 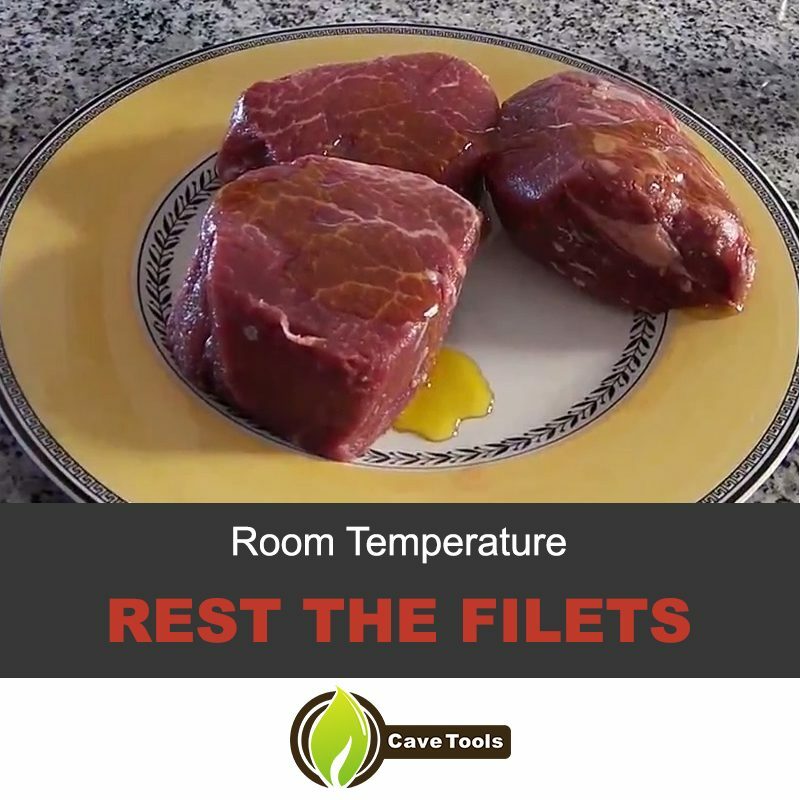 Bring to room temperature: The first step is to remove the filet mignon from the refrigerator so that you can bring it to room temperature before you cook it. All you have to do is set it out on the counter for anywhere between 20 and 30 minutes – it might take a little longer depending on the size of your filet. Resting the filets at room temperature is one of the most vital steps when cooking a steak. What this does is increase the temperature of the meat, which in turn makes it easier for you to get the internal temperature you desire. Once you have seasoned your steaks, leave them on the kitchen counter for a while. You will be tempted to put steaks on the grill as quickly as you can, but leave them alone! Your patience will be rewarded once everything is done and you take that first bite of your filet mignon. Allow the steaks to get into the “zone” on their own while you make the salad, mash the potatoes, cook the pie, set the table, grill the corn, cut the bread, watch True Detective, 24, The Good Wife, or Transformers, and so on. Tie it up: Now that your filet is at room temperature, tie it together nice and tight with some kitchen twine. You can wrap a slice of bacon around the steak if you like. This, as mentioned earlier, makes the meat moist and adds that smoky flavor that everyone loves bacon for. This will help in holding the meat together for even cooking. It will also give you a beautiful presentation once you are done grilling it. 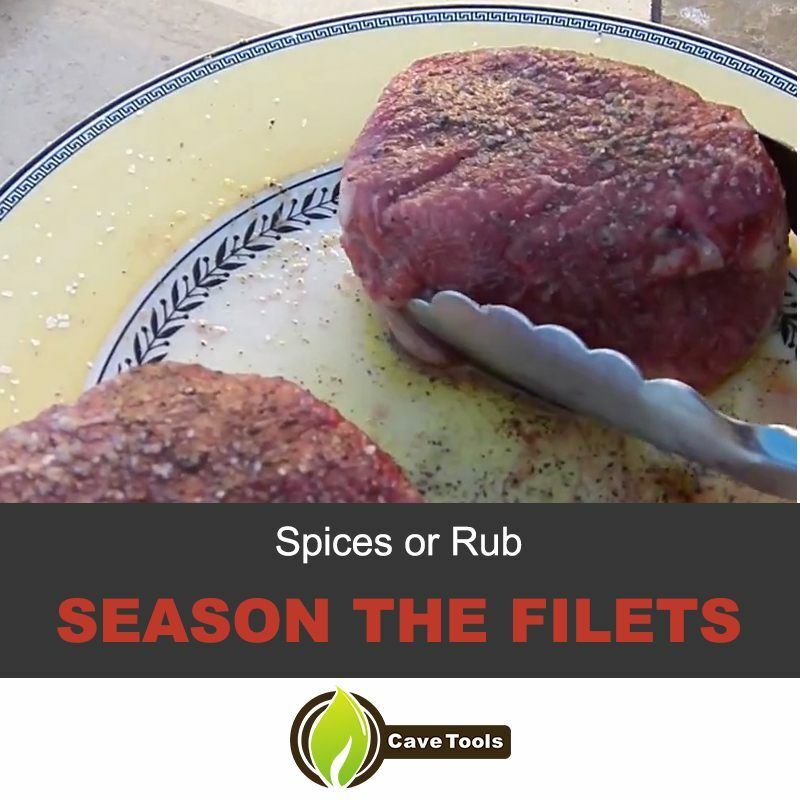 Prep with spices or rub: Prep the filet mignon and since it does not contain much fat or marbling and is not cut from a bone, you might like to use some spices, a rub, or seasoning to compensate for the lack of natural yummy flavors. Keep in mind that it is not that this strip of meat does not have any natural flavor – it is just that it loses the natural flavor that it does have the longer it is cooked. This means that if you want your filet mignon well done, you may want to use some spices or a marinade because many of its natural flavors will have escaped by the time it reaches the right temperature. If you prefer medium, prep it only with salt and pepper as your meat will still have lots of natural flavor – and you do not want that delicious flavor masked by anything else. Rub with oil: Regardless of your preference, you should rub the steaks with a little bit of oil so that the outsides do not stick to the grill. Now that you have prepped your beef filet mignon, the next step is to prep your grill. 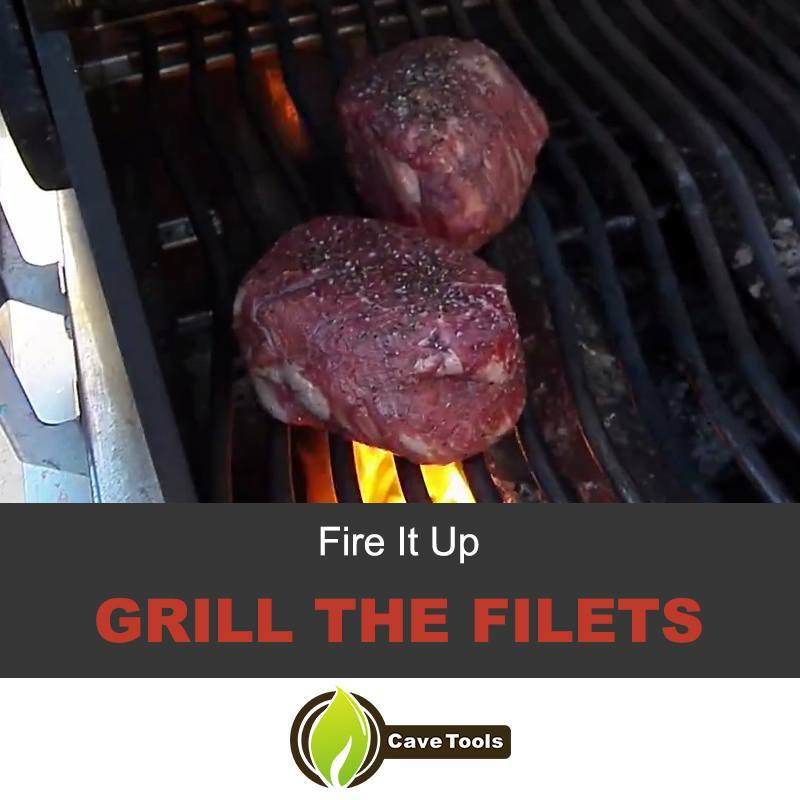 Preheat your grill: Whether you are using a charcoal or gas grill, you need to give it plenty of preheating time before you start cooking your filet. If you are using a charcoal grill, wait until the coals ash over. On a gas grill, allow it to heat for 15 to 20 minutes. I used a gas grill so I turned all burners to high. I then closed the cover, letting it heat for about 15 minutes, no more than 20. Set up high and low heat sides: It is also critical to set up a high heat as well as a low heat side on your grill. This is easy to do on a gas grill – all you have to do is adjust the burners, while on a charcoal grill, all you need to do is move the coals to one side of the grill. As I mentioned, I used a gas grill. So I reduced one side of my grill to medium before adding the filets. Grilling the perfect filet mignon is all about the temperature, whether it is when they are resting before grilling or while searing and then cooking. And when the steaks are on the grill, you have to remain focused. You do not want to over cook them! Now that you have everything prepped, it is finally time to get down to the actual grilling. Before you start, keep in mind that when you have a high heat side and a low heat side, you can first quickly sear the filet mignon before you transfer it to the lower heat to finish it off. Sear: Searing your meat for 2 to 4 minutes on each side will give your steak a nice crispy crust and those lovely grill marks that you often see in restaurants or on commercials and on the packaging for marketing purposes. Transfer to low-medium heat: Once you have seared the steak, transfer it to the low-medium heat part of your grill. When you cook it on lower heat, the heat is able to penetrate the middle of the steak while making sure that the outside does not get overcooked. This is true especially when you use thicker cuts of filet mignon. Close the cover on your grill for 3 to 5 minutes. Next, turn the filets and continue to grill for another 3 to 5 minutes, depending on your preferred degree of doneness. Remove the meat: It is essential to remove the steak at the right time – when it is about 5 degrees away from the temperature you want. Keep in mind that the steak will continue to cook when you remove it from the grill. Allow the steaks to rest for about 5 to 10 minutes before you cut into the meat as it helps in preserving moisture, keeping the filet mignon nice and juicy. Now, the last step is to cut the twine, serve and enjoy your grilled filet mignon – make sure you have a glass of stellar wine to celebrate your perfectly grilled steak! There is nothing wrong with ice tea either or even some milk! Put the Coke away, that is terrible for you. While you do not need to marinate a filet to make it tender, letting it soak in a seasoning marinade for a couple of hours can increase its flavor. ​You should avoid using too many enzymatic and/or acidic ingredients, such as raw pineapple, citrus juice or wine, as they work to break down muscle fibers and protein. Your filet’s texture can change to the point where you end up with mushy meat that tastes nothing like filet mignon. It is an astute idea to use an olive oil-based marinade that includes Worcestershire or soy sauce as well as a combination of seasoning herbs. What temperature to grill filet mignon medium rare? 130 degrees fahrenheit is the temperature you will want to aim for when grilling your filet mignon to medium rare. For other "doneness" temperatures, see our temperature guide above! How to grill filet mignon on YouTube? What side dishes go well with filet mignon? A wide range of side dishes go well with filet mignon including horseradish sauce, balsamic glaze, vegetable kebabs, shrimp, goat cheese, herb butter & texas toasts, mushrooms, butter, red wine sauce, herb butter, blue cheese, brandy mustard sauce, and gorgonzola cream sauce... just to name a few! How many calories are in a grilled filet mignon? A 6 ounce grilled filet mignon has about 325 calories. Can I grill filet mignon? Yes, you can grill filet mignon! Just follow the guide on this page and you will be set! Grilling your own filet mignon does not sound like such a difficult task now, does it? Following this guide will ensure that you get a restaurant-quality steak that you cooked yourself! All it takes is the right ingredients and tools and keeping an eye on the time and temperature. So the next time you feel like dining on a juicy and delicious filet mignon, forget about going to that fancy restaurant – just fire up your grill and get started on grilling the perfect filet right in the comfort of your home! Or your backyard! You do not need to go anywhere to make this meal. It is not like this is dim sum or tamales or some other type of food that is difficult to make!